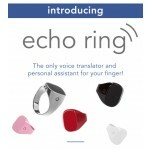 Echo Ring voice translator and personal assistant puts the world at your fingertips, literally. With Echo Ring, you can translate 24 languages, use voice commands and gestures to make phone calls, control music, and even send emails. Echo Ring’s Amazon Alexa integration also allows you to connect with your smart devices and get any information you need. You will make any secret spy jealous with this amazing piece of technology! Echo Ring is equipped with the latest technology and features that make it an ideal day to day accessory fit for any lifestyle. With Echo Ring, you have a personal language translator that can speak and understand 24 languages. Echo Ring doubles as a voice assistant that is compatible with Amazon Alexa giving you options for verbally controlling cell phone features and many smart products. The Bluetooth enabled gesture control feature allows you to send emails, take calls, and post on your favorite social media platforms. With Echo Ring use your voice to answer, reject and make calls. If you'd prefer gestures simply swipe right to accept a call, left to reject, and down to send to voicemail. 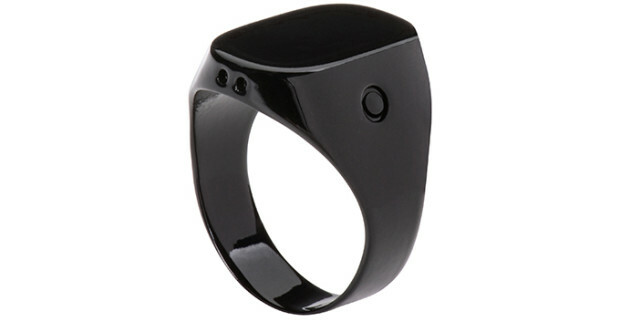 In times of emergency, Echo Ring will alert emergency services while tracking your location in real-time. Echo Ring uses speech auto detection and voice synthesis technology to directly translate spoken word. Speak and understand 24 different languages seamlessly including English, Spanish, German, French, Japanese, and much more. Many voice translation apps require wifi access but with Echo Ring’s 3-second response time, you can translate on the go without being connected to wifi. 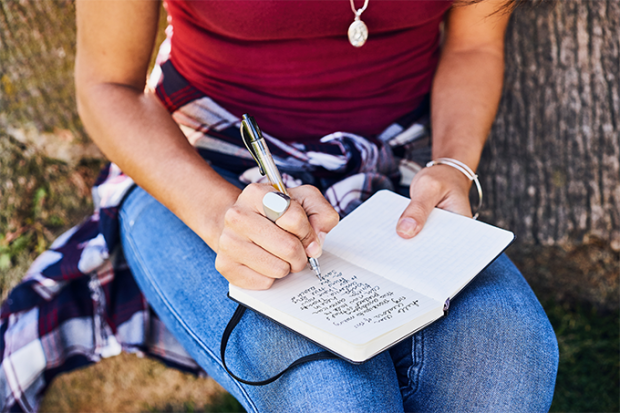 Equipped with a compact microchip packed with the latest technology, you can finally put down the bulky translation books and devices. 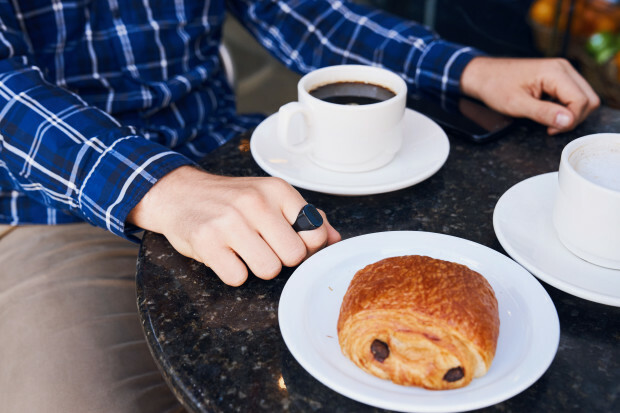 As the world of business becomes more connected, Echo Ring is the perfect option for your most important business meetings. 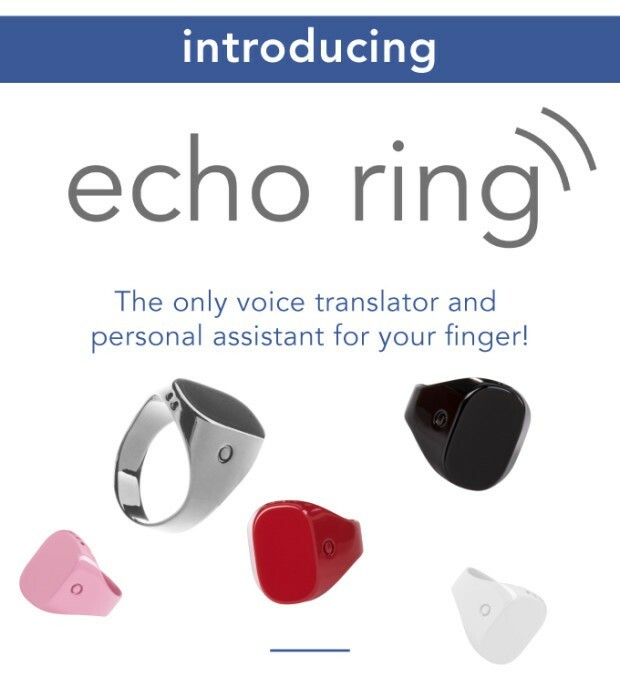 Echo Ring is a must have for backpackers who often find themselves struggling to communicate with locals in various countries. 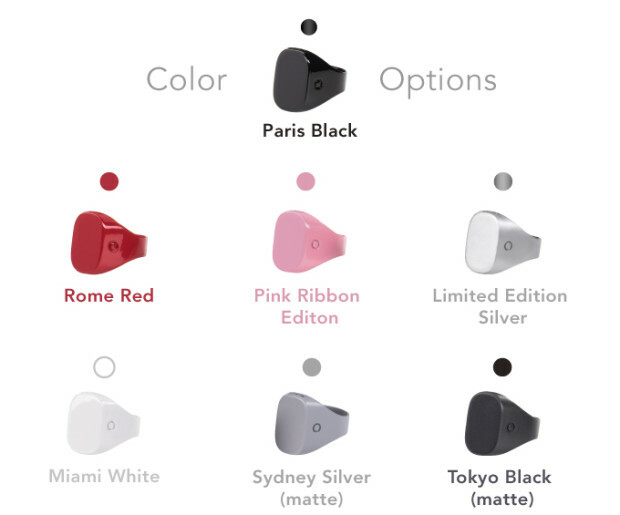 Whether you are a studying abroad or learning a new language in your home country, Echo Ring is the perfect accessory for students learning to communicate in different languages. Echo Ring serves as your own AI voice controlled assistant that seamlessly connects to services, such as Google calendar, Google Maps, iCal, Uber and more. Echo Ring’s brain is built into the cloud and gets smarter every day by learning your preferences. With Amazon Alexa, your voice, and Echo Ring comfortably around your finger, you can control and have access to a wide range of Amazon Alexa compatible devices that will make your life easier. 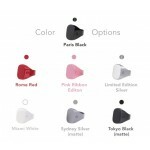 Using the noise cancelling MEMS microphone with high SNR and flat wide band frequency response, you can tell Echo Ring to answer calls, send to voicemail and reject calls with your voice. Echo Ring allows you to control your home surroundings with compatible smart home products such as Nest, Caseta Dimmer, and Smart Things allowing you to control environment temperature, lighting, cameras, and security systems. You say "echo" and it starts to record. When you say "Goodnight Echo", it will check that the doors are locked. 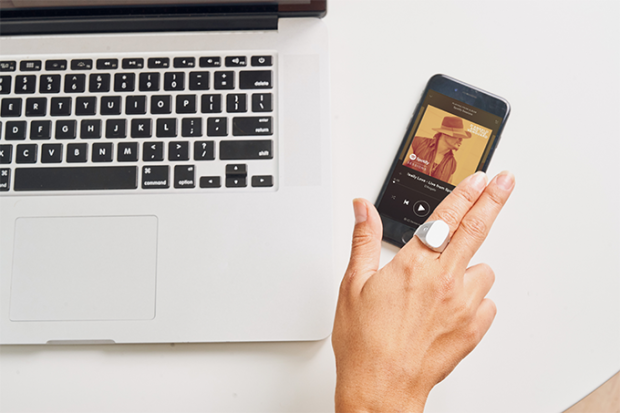 With Echo Ring and a flick of your finger you can accept or reject incoming phone calls without reaching for your cell phone. Use simple finger gestures, swipe right to accept call, left to reject and down to send to voicemail. When playing music on your phone, Echo Ring allows you to change songs and control volume by simple finger movements. To skip a song, simply swipe right. You can increase or decrease volume by moving your finger up or down. If you’re trying to take the perfect picture but can’t find the button on your phone, simply swipe your finger to take all the photos you’d like. For busy people on the go, easily send emails with customized gesture controls. 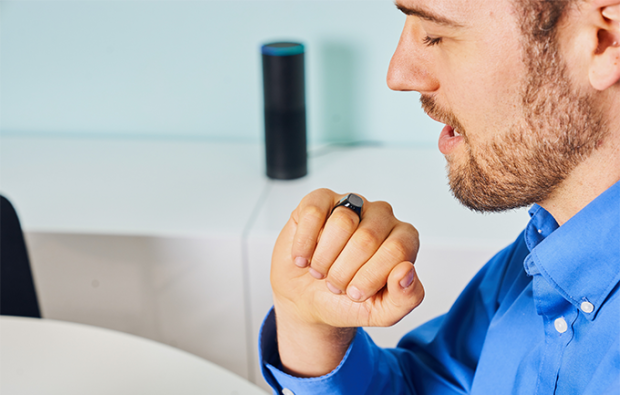 With only one press of a single button, quickly unlock the many features of Echo Ring, including voice assisted emergency features. 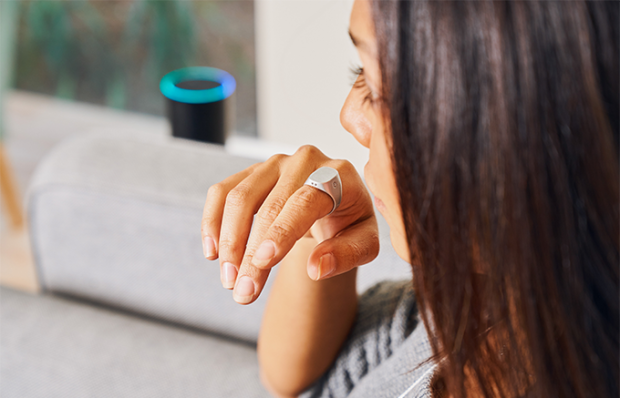 With Echo Ring, Say "HELP" 3 times and a predetermined message will be sent to whoever you like, police and emergency services, friends and family, or private security services. For added security, an "Alert card" with your information (picture, location, time, voice recording) is sent out. As long as you are wearing Echo Ring it shares and tracks your location after your emergency voice alert has been sent. We understand that false alarms do happen, if this happens simply enter your custom password into the Echo Ring app to cancel emergency alerts. We have always been interested in travel but unfortunately, there were many situations where we couldn't communicate with people because of language barriers. Unfortunately, translation apps that existed at the time did not provide efficient solutions. Many required internet to work, which you may not always have access to while visiting various countries. At the same time, constantly having a large phone between you and another person’s face creates an additional barrier between communicators. By creating a device that would allow you to communicate with anyone, anywhere, we can move one step forward toward eliminating communication barriers between people and allow them to connect with one another instantaneously. Today, we see that people are constantly glued to their smartphones. As a result, we wanted to create a device that would make us less reliant on smartphones and let us control devices, communicate, and access information easier and in a more natural way. Our vision was to create a small discreet & stylish device that allows you communicate and access information like never before. Our team is lead by Vignesh Narasaraju, head of software and Clemens Klante, head of hardware. Crowdfunding is where we will be able to connect with and gain support from a community of people who share our passion for innovation through tech. How is my personal data secure? We respect your privacy. Nothing is sent to the cloud before the trigger words are spoken. The trigger word is processed and embedded into the device. To ensure that your data is secure, Echo Ring uses SSL encryption to secure personal data sent to and from the cloud. Digital certificates are used to authenticate devices and we use 256-bit AES encryption in the cloud. How do I use my Echo Ring? Echo Ring is very easy to use! Download the app and connect it to your phone and accounts. Press the button or say the wake work "ok echo" to activate the ring. 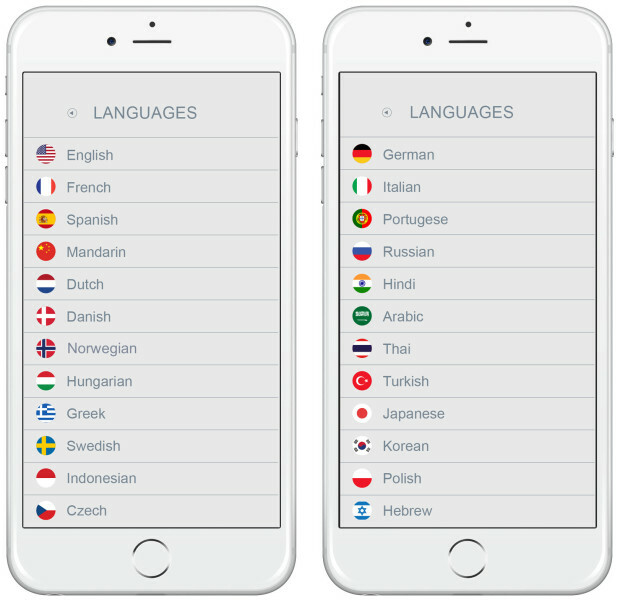 For translation: select two languages in the app. Press the button and start talking. After 2 seconds, Echo Ring will translate your sentences out loud. Now the other person speaks his language and you can hear the translation. Do I need my phone? Yes, your phone must be connected to your Echo Ring in order for it to work. . It works with iOS 9+ and Android 4.3 smartphones. The app connects to wifi as many of the services are built into the cloud. The software is proprietary. Does Echo Ring come with a warranty? We stand firmly behind the quality of our products. It comes with a one year parts and labor warranty. How does it adapt to my personal habits? You create your profile the first time you use it. You have the option to enter your address for work and home. It gets traffic information from Google maps and here.com. All languages have different dialects. Echo Ring is designed to understand common dialects. However, thick dialects can disrupt this and cause improper translations. Yes, it is waterproof up to one meter (3 feet). However, we don’t recommend that you swim or shower with it.